League of Legends is probably my most played game of all time. If it isn’t, it’s a close second to EverQuest 2, but I imagine that I have spent more time playing LoL due to the fact that I started playing the game way back in 2011, and only took a couple of breaks here and there for short amounts of time outside of my most recent break from the game. Whereas with EQ2, my only regular play time was from about 2006-2008, and then it was very sporadic and for only a couple of months at a time. My most recent trek back to Norrath was through the end of last year into early this year and only lasted for that short amount of time. With LoL I played nearly every day for years, and then when I didn’t play for like a month I’d be sucked back in by some new champion or event. 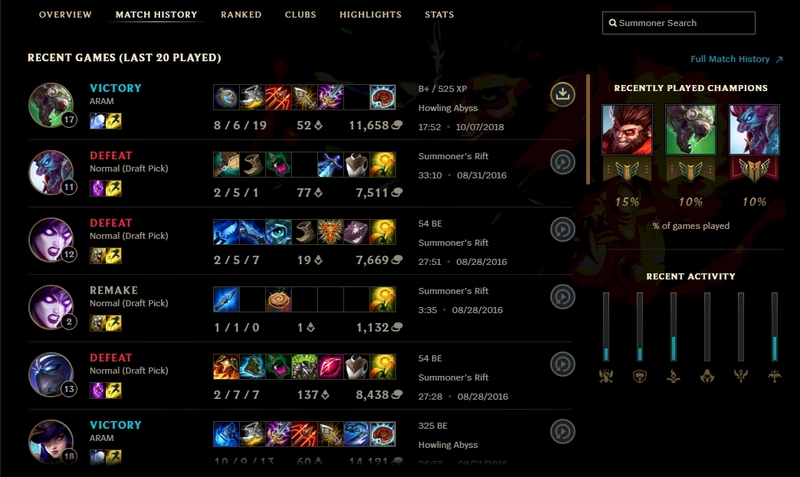 If you take a look at my match history, you’ll see that the last game I had played was in August of 2016, until the other day when I played, a full two years and a couple of months later. I honestly don’t know where that time went, outside of the fact that I know what changes occurred in my life around that time. I met my girlfriend earlier in 2016, but we were officially “an item” by August, and from then on I spent less time gaming and more time with her. That’s not to say that gaming has fallen by the wayside, as clearly I have been plugging away at my backlog along with trying new things since then. It’s just at that point I sort of put LoL on the back burner after having played pretty seriously for years prior. And somehow or another, despite thinking about firing it up on multiple occasions, it took me til now to actual do so. But hey, my backlog thanks me for the break, I suppose. Boy, things have changed. They redesigned the launcher at some point, and apparently I did log in sometime in 2017, as my launcher was already updated there were just the normal game patches to get through. I also earned a few icons that were applied to my account last year so I know I had to have logged in, but I didn’t play as my match history has shown. Now you can see your “collection” of champions, skins, icons, ward skins and more in a handy interface that is less convoluted than it was before. It’s also neat to learn how you earned said skins/icons and when that occurred, something that was missing from the prior version of the launcher. 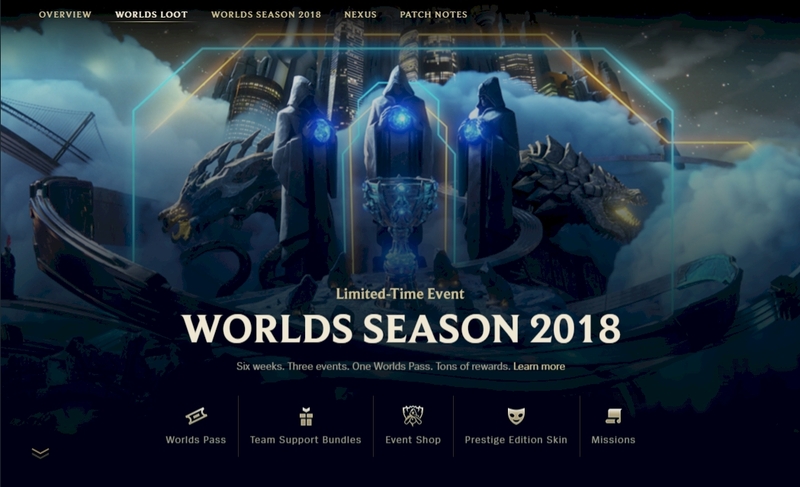 There’s now a season pass sort of option as well, something that we’ve seen in games like SMITE and other lobby games where you pay an upfront fee to access new cosmetic items and participate in a limited-time event. Speaking of limited events, there are also still those good ol’ rotating game modes, but the most recent that I participated in was a 5 player co-op map where you kill a bunch of NPC enemies and that was interesting! 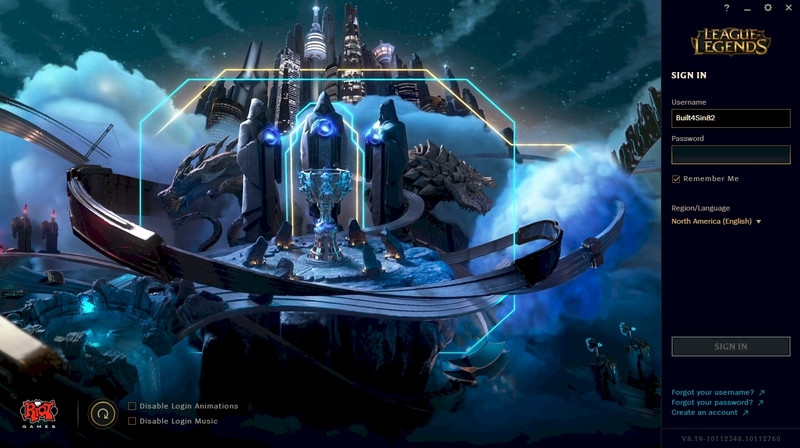 I’ve never played co-op in LoL before, and in this instance I feel like you could make a skill based isometric RPG/MMO in this vein and it would be a ton of fun! But that’s a thought for another day. Another big change is how runes and masteries work. This was a big thing for me, I spent a lot of time trying to dial in rune and mastery pages for the champions I played regularly, and I also gave general advice for building these pages here on the blog. It seems now that runes and masteries are gone as we knew them, instead of being separate pages they are now consolidated into one. This also means that there are a ton of build paths, but you basically pick a major tree, which gives you a four sets of three choices to make, and then a secondary tree that you can pick two passives from. As such, I have made a few builds to test out, each representing the different types of characters you’ll play in the game. It appears that I did not get my tank build uploaded and I’m not at home so I’ll have to add that in later, but above you’ll see ADC, Assassin, Mage and Support builds. I know I built a tank page as well but I guess it’s not all that important. These are first draft builds, so your mileage may vary. So far I’ve played a few nights now, but I’ve only played ARAM and the co-op mode because I felt like I would be super rusty. It turns out it is a bit like riding a bike, I still have the muscle memory to handle the controls and thus far I’ve performed okay, but as you know in ARAM you get a random character, so some I’ve done better with than others. There are probably a dozen new champions that were added to the game since I last played, along with several re-worked characters, though I am familiar with most of them due to watching pro esports despite not actually playing myself. I’m actually rather pleased with the experience and intend to play more in the coming weeks. I have another post in the works discussing my backlog and play time, and I’ll cover more of why I have time to play LoL again during that time. I gave up on LOL as I couldn’t keep up with the pace of change. I’d not play for a month and the meta had changed, champions had changed – there was just so much there that I felt like if you weren’t playing every day you were lost when you ended up logging back in. Every once in a while I get an itch to play it again, but the re-learning curve scares me off. A co-op or single player diablo style with those champs, now hey, I’d buy that for sure. Love the characters there! I honestly didn’t have too much trouble getting back into the swing of things. I’m clearly rusty though, hence playing only ARAMs and the co-op map. I found it all coming back to me fairly quick though, and only having a few new champions to work around didn’t make much of a difference. I was still seeing old favorites in matches and didn’t feel too behind the curve. But yes, I agree if Riot ever decided to do something different with the characters and lore, I’d play it for sure! I’ve got a love/hate relationship with League and been away for a while but I’ve been thinking of coming back for a bit since the end of the season is coming up. Usually towards the end of each season, when the pros are playing their tournaments, Riot cuts back on dramatic changes to gameplay and champions. The game becomes a bit more stable and enjoyable when its not dumping huge changes on players every other week. Now that I see you all getting back into the game maybe I’ll give it a shot again.